Summer is here! But along with warmer weather, trips to the pool and the Fourth of July, comes a not-so-fun reality... the summer slide. Too often students scowl at the idea of summer learning, but it doesn’t have to be that way. In fact, summer is the perfect time to dive into some fun, engaging learning activities. Virtual field trips, check. Fiction writing, check. A summer of making, check. For parents, we’ve rounded up some outside-the-box resources, as well as reading, math and writing activities, that will help counteract summer slide. 10 of the Best Virtual Field Trips: A trip to the Colosseum in Rome? A behind-the-scenes look at the Hershey's factory? Curious students will find a lot to explore in these virtual field trips and tours featured by eSchool News. Gearing Up for a Summer of Making Connecting and Learning by Doing: DIY projects are perfect for inquisitive students. This New York Times Learning Network guest lesson by Edutopia blogger Suzie Boss highlights a few places to find upcoming activities, including the Summer of Making and Connecting project. Reading Resources for Teens from New York Public Library: Reading is an effective way to prevent summer slide. New York Public Library produced this list of teen-specific reading resources. For younger students and ELLs, Colorin Colorado has a comprehensive list of resources for parents. Stop the Summer Slide in Math: These easy-to-use, PDF activity guides from Touch Math are a great way to keep younger kids' current in math. 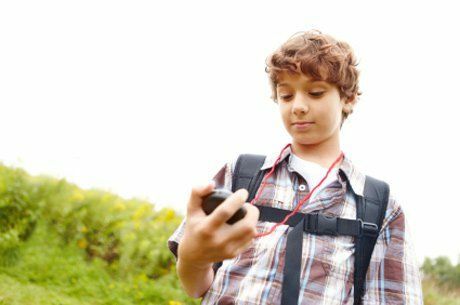 Another resource, from Education.com, Help Your Teen Avoid the Summer Math Slide provides plenty of age-appropriate math learning ideas for teens. Writing Activities for all Students: ReadWriteThink's after-school writing activities work great all summer long, and there's something here for students in any grade. For your aspiring fiction novelist, author of "Writing Fiction: A Hands-on Guide for Teens" Heather Wright, has compiled a 70+ list of writing prompts and starters.